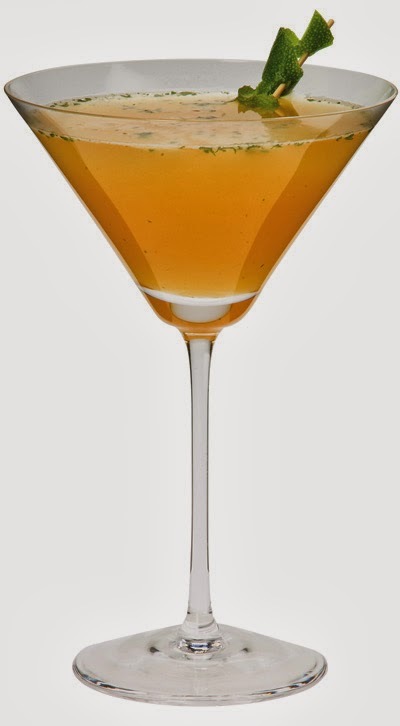 Friday Cocktail: The Bermudian With Gosling's Rum. Rum's come and go, but Gosling's have been producing fine spirits for over 200 years. The oldest surviving business in Bermuda, it's stayed within the family and stuck to its guns, producing gorgeous rums for sipping and mixing. Most of my ramblings on Vinspire usually concern beer, but today I've been let loose on the spirit world (spirits as in drinks, not the underworld...though that would be cool) as the marvellous folk over at Gosling's have sent me some samples to try and give you good looking people the low down on one of the oldest rum producers in the world. First up is the signature, Gosling's Black Seal Dark Rum. Named after the black wax that was used to seal it in the old days, its sweetness comes through instantly with whiffs of toffee and burnt sugar. It's ridiculously smooth and sippable with a well tamed burn. Next we have Gosling's Gold Bermuda. A very pale straw colour, the nose is filed with vanilla and Demerera sugar. It's vibrant and it fills the mouth with sweetness. This would be an excellent mixing rum but is so smooth it can be drunk neat. This one I am slightly wary about, having had very bad experiences involving over proof rum, four lawnmowers and a national television broadcast, but I'm a professional (sort of) so I will soldier on! Gosling's 151 Over Proof Rum. What strikes me first is the lack of alcoholic smell. It smells more like Madeira than anything else, with a nuttiness and hints of dried fruit. These themes continue on the palate with a strong alcoholic presence. The burn is there, but it's well integrated into the flavours. I like it! Finally is the crown jewel of the range, Gosling's Family Reserve. Much darker in colour, this has strong smells of toffee and raisins. The dried fruit character comes through on the palate with chocolatey notes and a sweet spice. A gem of a rum with bags of character. Now it simply wouldn't be enough to say that these are good mixing rums without giving you something to do with them. This is a cocktail piece after all! May I present, The Bermudian. Give a sprig of mint a good muddling in the shaker. Whack all the ingredients in the shaker and give it a good shake. Strain into a martini glass and garnish with a lime twist. It's not often I find a rum that really does impress. I think I may have found a new favourite in Gosling's. The whole Gosling's range is available from The Whisky Exchange.